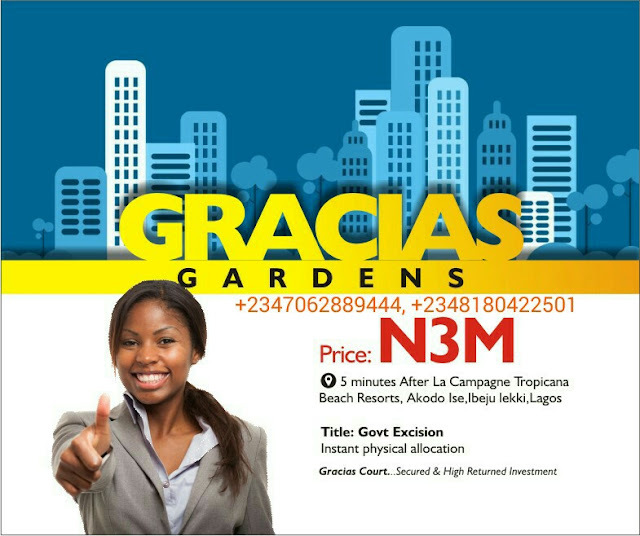 Garcia's Gardens Phase 3 is an edifice with great life style value and viable investment proposition located in a strategic place where you can build your home. 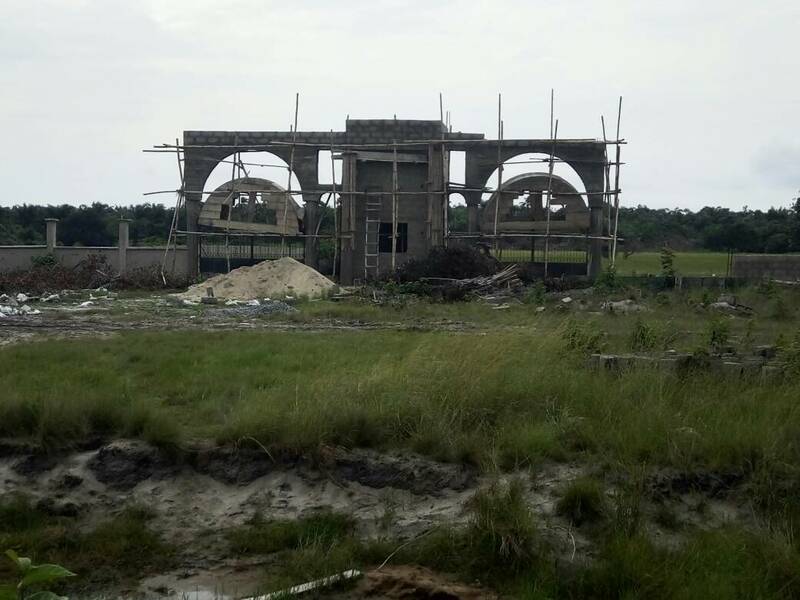 LOCATION: 5 MINUTES DRIVE FROM LA CAMPAIGN TROPICANA BEACH RESORT, IGBOGUN ROAD, IBEJU LEKKI LAGOS. 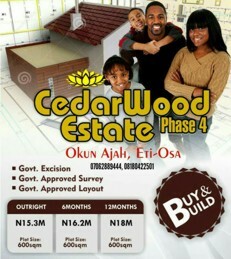 For more information and enquiries, kindly contact +2347062889444, +2348180422501.